A survey by the Federation of Small Businesses (FSB) has revealed that a quarter of its members have never heard of ‘Real Time Information’, the biggest change to PAYE in over 60 years. The new system, which is scheduled to be in operation from April 2013, will see employers reporting national insurance and tax deductions every time they pay employees, as opposed to at the end of each financial year. This new way of reporting payroll information is needed to calculate payments for Universal Credit, a new benefit that aims to simplify the current welfare system by replacing five work-based benefits with one. With less than six months to go until the new system is due to be implemented, a poll of 1,700 small firms found that only 16% of respondents were ‘fully aware’ of RTI. The survey also found that more than 60% of firms have not had any communication from HMRC about the changes. John Walker, National Chairman, Federation of Small Businesses, called for the government to ‘step up its game in communicating the changes’. ‘There are a number of steps that a business must complete before they can provide Real Time Information to HMRC so it is critical that those affected know about it. Of the very small number of firms that are aware of the change, 30 per cent have had to buy new software for their business. HMRC needs to act now so that all small firms can prepare their business as they only have six months in which to do it,’ Mr Walker said. ‘We intensified our RTI communication drive a few weeks ago, as customer research shows that six months before it starts - in April 2013 - is the best time to engage with employers. ‘The campaign includes sending over 1.4 million letters to employers, targeted flyers and emails, advertising, regular live Twitter Q&As, You Tube videos and roadshows across the country. According to HMRC recommendations, employers should check their employee data, check that their payroll software will be upgraded in time and discuss arrangements with their accountant or book keeper. Are you in the dark about how RTI will affect your business? 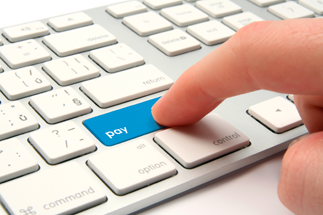 Perhaps, you’re looking for a payroll service to take the extra administration off your hands? Contact Foremans LLP on 01244 625 500 to find out how we can help.